As thrilling to look at as it is to ride, the ALL NEW BONNEVILLE BOBBER BLACK takes the iconic Bonneville line-up to a whole new level. Darker, meaner and stronger, the new Bobber Black enjoys all of the classic Bobber’s category defining capability, iconic silhouette, hidden ‘clean line’ rider technology and engineering innovations and adds even more aggressive attitude and blacked-out muscular style, along with an even higher level of specification, including category leading Brembo front brake set-up with twin front discs, more muscular Showa forks and full-LED headlight. 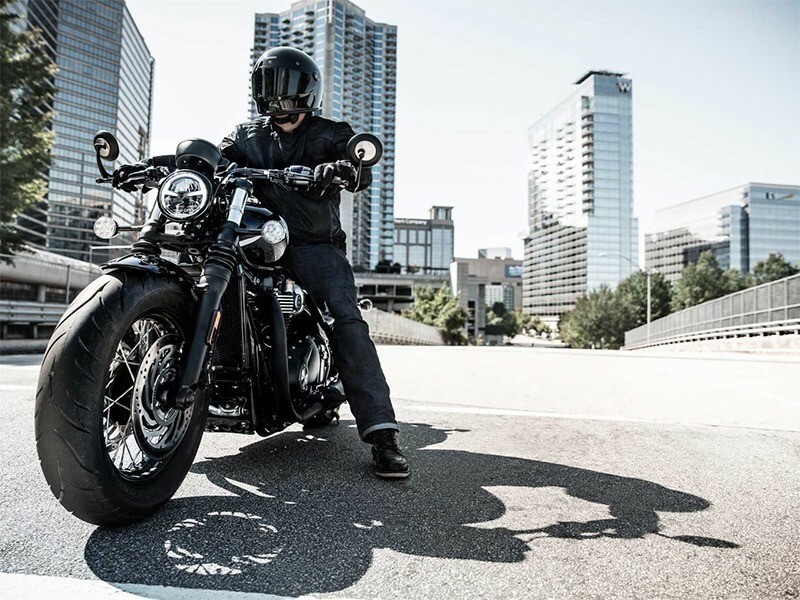 The new Bobber Black features the critically acclaimed Bonneville 1200HT engine, with signature Bobber tune, for high-torque and more power lower down and in the mid-range than the Bonneville T120. 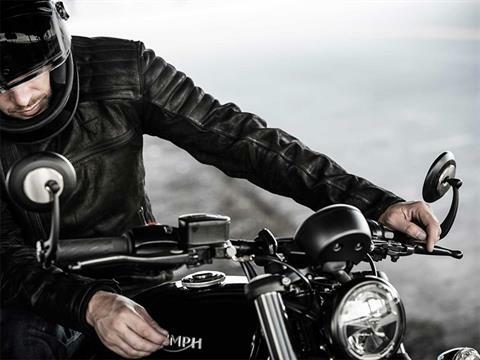 The distinctive British Bonneville engine note is accompanied by the unique spine-tingling Bobber hot rod soundtrack, courtesy of its short, slash-cut, black painted exhausts and twin airbox set-up. 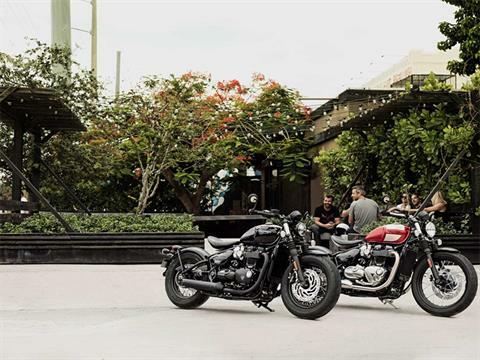 ICONIC BOBBER SILHOUETTE: Sharing the same low, minimalist stance, stripped back style and iconic silhouette as the Bonneville Bobber. 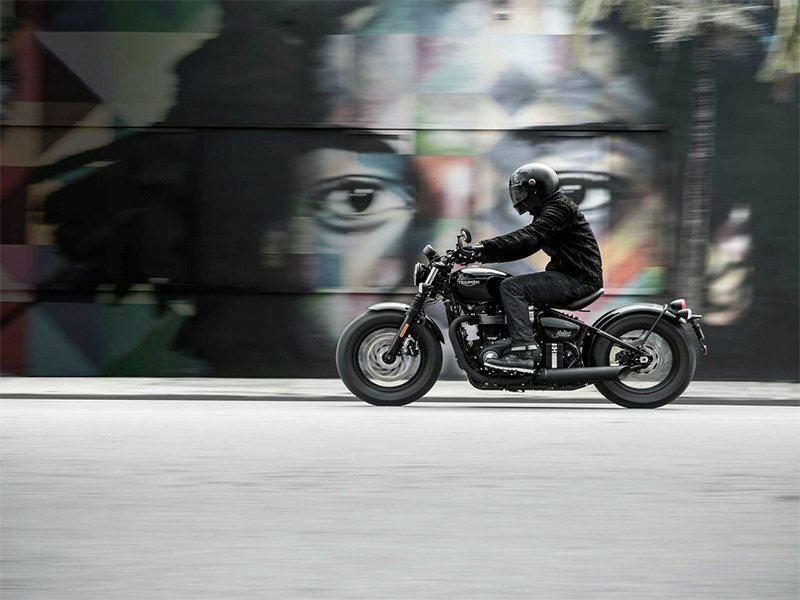 HALLMARK BOBBER FEATURES: From its clean lines, single seat and authentic hard tail look, to its wide fat bars, wire spoked wheels and sculpted tank - it's every inch a Bobber. 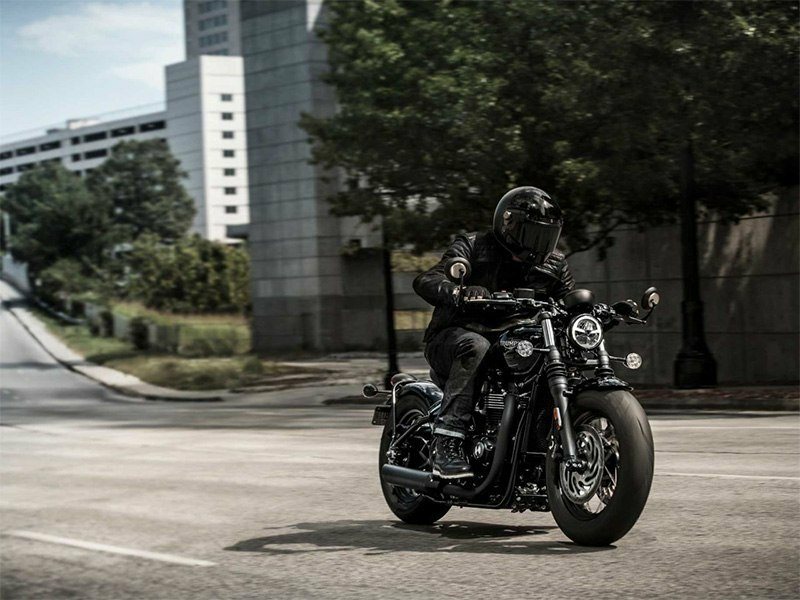 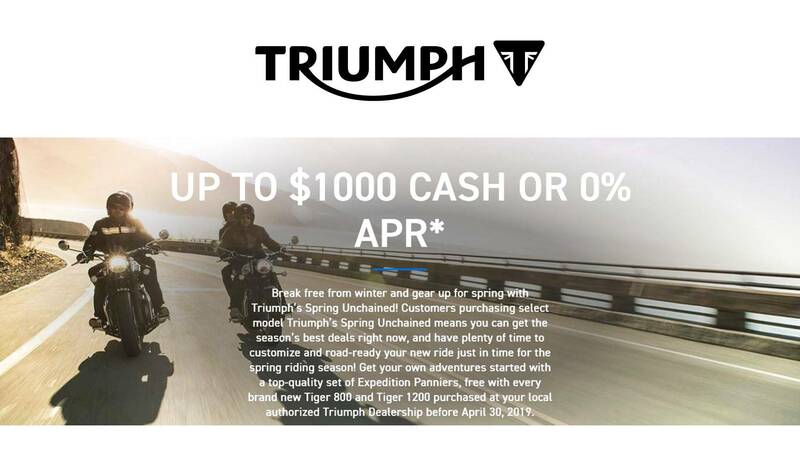 BEAUTIFUL PREMIUM DETAILS AND FINISHES: Incorporating a host of stylish Bobber details and premium finishes. 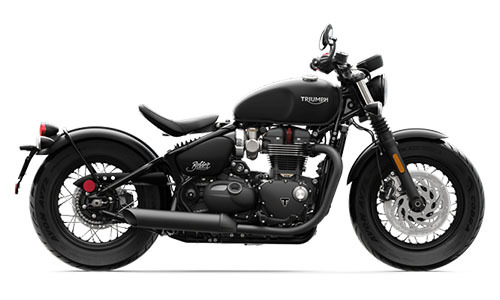 Including battery box, classic rear 'drum brake' inspired hub, carb style throttle bodies, black bullet LED indicators, rear mudguard loop, side mounted ignition barrel, bar end mirrors and branded locking fuel cap. Front - 32-spoke, 16 x 2.5 in. Display and Functions - LCD multi-functional instrument pack with analogue speedometer, odometer, gear position indicator, fuel gauge, range to empty indication, service indicator, clock, 2x trip, average & current fuel consumption display, traction control status display, Cruise control & heated grip ready - controlled by a handlebar mounted scroll button.